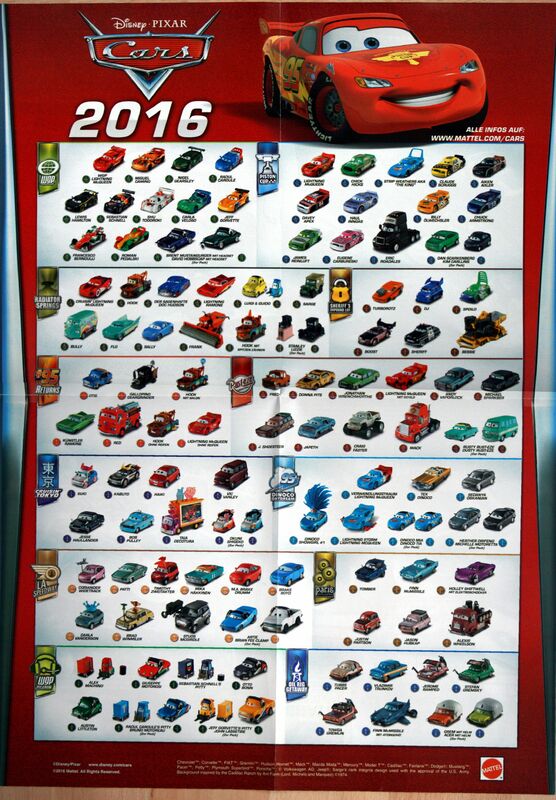 Take Five a Day » Blog Archive » Mattel Disney Pixar CARS: Achtung, Achtung 2016 Poster Up! Mattel Disney Pixar CARS: Achtung, Achtung 2016 Poster Up! Thanks, “Robert G.” for the heads up from Germany. Most of the names are in English, and fun to see the German names of some of the townies & tuners. Or “Transforming” in German. There’s a quasi-higher res version HERE (thanks, Carromata95). It’s not an official upload. Maybe we’ll get one in the next few months.